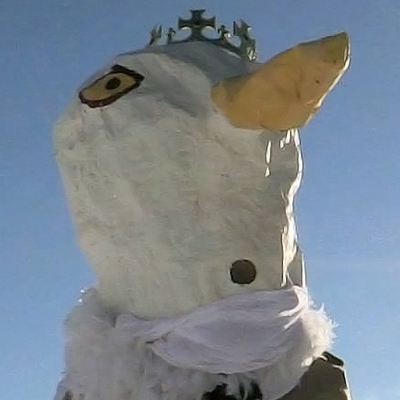 Recent reports of a masked “Shad Man” come as no surprise to super villain “The Seagull King,” a tall man-bird hybrid who regularly stalks the North Bay Waterfront. Speaking to thenorthbaybay.ca on Thursday, The Seagull King began the conversation by demanding a container of sand-covered fries. When provided, King ate the entire package before regurgitated most of the fries back up onto the beach. He then screeched repeatedly, warning the other hungry birds nearby to back off. “Craw!” The Seagull King squawked, bouncing up and down. Several dozens seagulls circled overhead. The Seagull King then accused Shad Man of several heinous crimes, including not tipping his waiter, occasionally jaywalking, and smelling bad. The Seagull King flapped his wings twice for effect. Charlie Fitzpatrick, thenorthbaybay.ca’s first child intern, made the mistake of asking The Seagull King if he stays the whole year, to which the giant Man-gull responded by pecking out one of Charlie’s eyes. The Seagull King was then distracted by the freshly expelled fries, which seemed like a good time to get Charlie to the hospital. 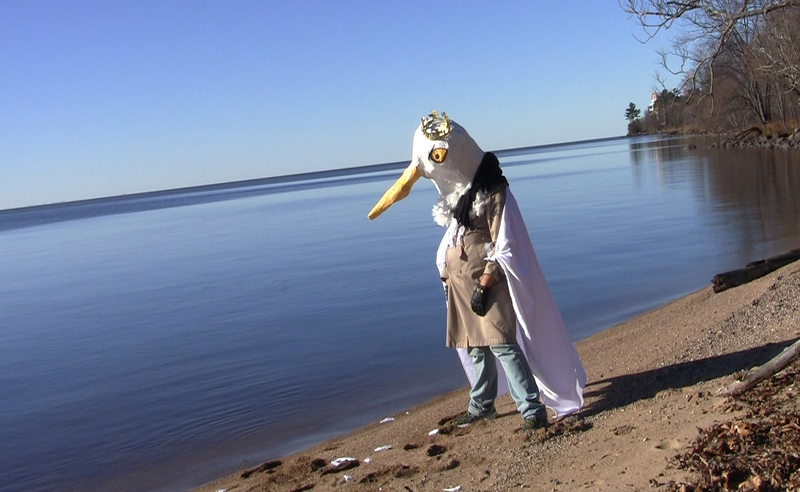 As thenorthbaybay.ca team left, The Seagull King could be heard screaming “curse you Shad Man! Curse you Shad Man!” through an increasingly large cloud of hungry, hungry herring gulls.